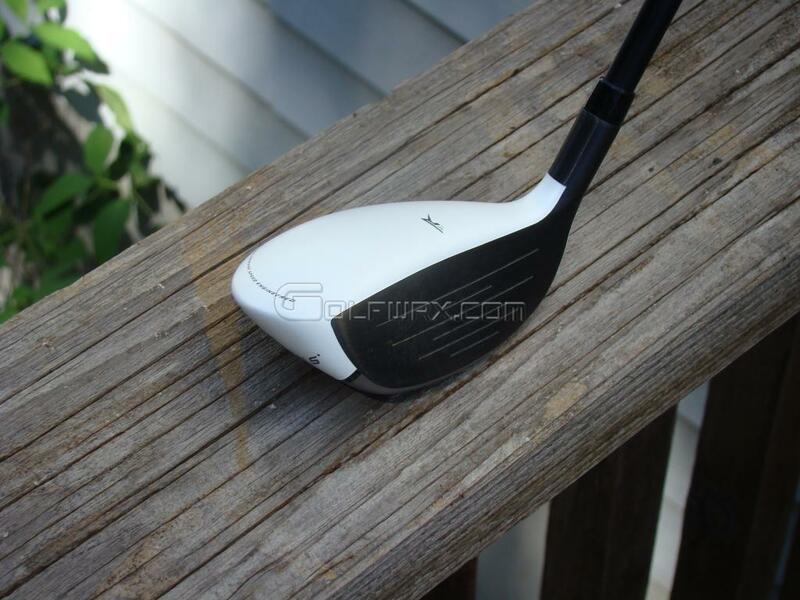 Taylormade RBZ Tour Hybrid #4 --shafted with Fujikura F3 Motore 80HB X flex and it has the Lamkin 3gen Permawrap grip on it. Much thanks to GolfWRX for the chance to do the testing and to share the experience. I am 45-going on 46 in October, 5' 10". Been playing golf over 30 years. I just can't remember most of it. Currently playing to around a 4 handicap when at my best, maybe a 6-8 on bad days. SS is 89-92 mph with 6 iron. An all white head with a black face make for easy alignment. The club is a standard 110cc in size and 41.5 inches long. Loft is 21.5* and too the eye the face appears to be a touch open at address. On the bottom of the club, the Speed Pocket, a slot on the bottom runs from almost from edge to edge along the face. The weight, usually in the rear of the club is right behind the slot and more front than middle. Some slightly scattered graphics line the outer edge to define the head and a simple 'R' is the alignment aid on the top of the club. Very easy to align...where the black face meets the crown shows a distictive line that is easy to get aimed at your target. There is no offset in this club, very clean look at address, sits slightly open to my eye which I prefer. Speed Pocket technology..the slot...offers very easy distance gains with the right shaft. Graphics and color may bother some players. Stock length is about 1/2 inch too long. The Speed pocket on the hybrids adds distance to the same loft, same length club without changing your swing. This innovation just launches easier and with less spin then previous designs. The looks are compact and hittable...no adjustments necessary. It sets nicely on the ground and is super easy to align to your target. Here is the gist...if you can buy a hybrid that is higher lofted and shorter shafted and easier to hit than your current hybrid, but goes as far as the current club..why wouldn't you? I have been playing hybrids since the original Taylormade TP Rescue Mid--S400 shaft(yeah, steel was standard..go figure), and have found them easier and more consistent than my long irons(2 and 3 irons) and sometimes even my 5 wood. 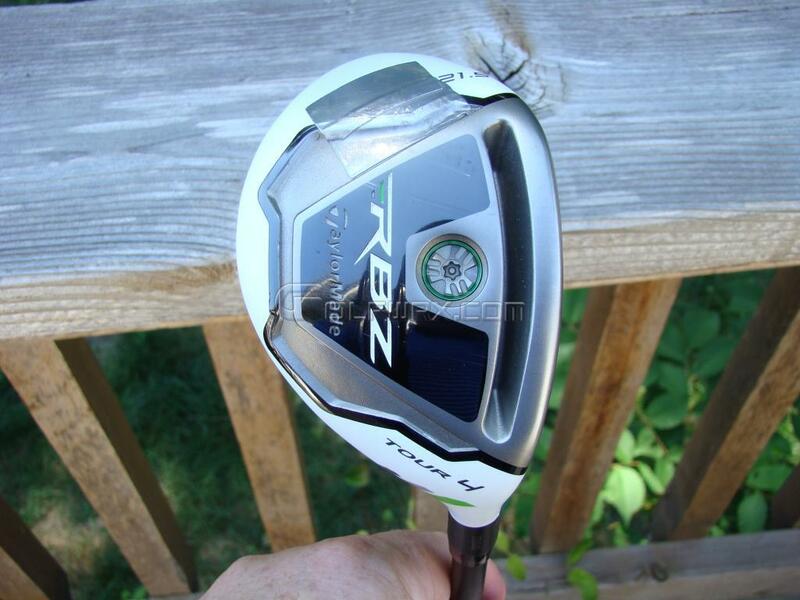 Put the RBZ Tour in play shortly after I received it, and played a course I was very familiar with. It has quite a few shorter par 4's that it would come in handy off the tee and some par 5's I can reach after a good drive. I found it very easy to align, as I do with all the white clubs, very solid and compact look at address. On the 3rd hole, a uphill hard(90*) dogleg left, it is a stock 210 to the middle of the fairway right of a middle bunker...or 230 over the bunker. Over the bunker is not the shot, unless you have a 2 hybrid for me, or maybe the 5 wood. Aimed for the 210 route, but yanked it left, no draw, just a straight pull..OVER the bunker and into the fairway...just chalked it up to the pull being a touch farther naturally. On the back nine, #11, long winding S-curve par 5, with the latter half of the S going uphill at about 25*..hit a good tee shot to bottom of the uphill which left about 200 uphill...grabbed the 4 hybrid, expecting on a good hit that the uphill would be around 225 yards, well, 245 later, over the green on an upslope..where it landed!! The shot was hit very flush and had a nice rounded draw of about 5-8 yards, when hit well, this club just jumps...no ball feel, just compression and lift off! The last par 5 is not really long, and the poor tee shot left me about 225, slight downhill and into the wind. Figured I could hit the 4 Tour and just get it down in front of the green...nope...over again, but in play. This shot was straight as an arrow and right over the pin...just LONG. 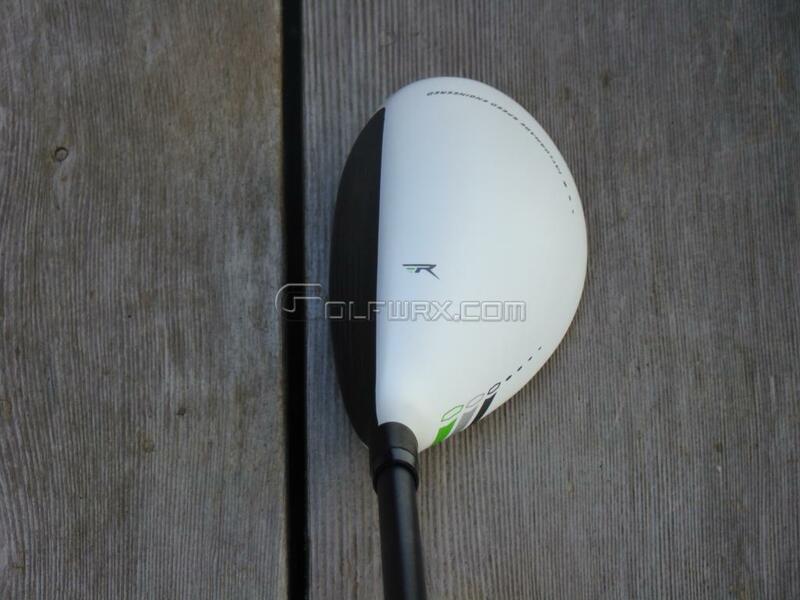 Like all current Taylormade clubs it is WHITE. 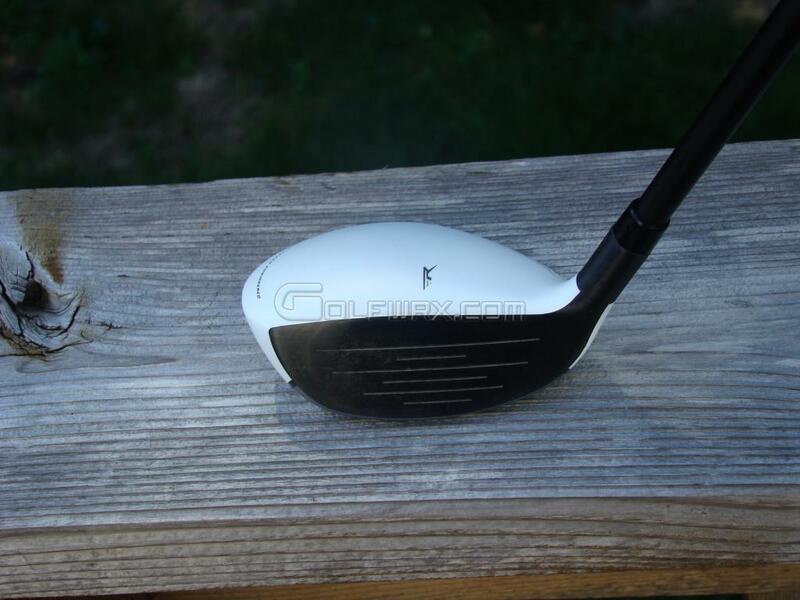 A soft matte white, no hot spots while playing with this club...looks great on the grass and really lines up easily. The head is nice, compact and has a deeper face. I like the deeper face aspect since the proper strike is downward and the deeper face gives more confidence that it can be done easily. The sole glides through the turf and the rough easily and provides great feedback on mis-hits. As with everything Rocketballz(RBZ), the hybrids are long and forgiving!! The faster you swing the more you will benefit from the gain in distance. Fast swingers will gain more, but moderate swingers will still gain. I found the tour hybrid to be easy to hit, alter direction and flight down if necessary. It was very good from all lies encountered so far, rough, sand, side hills, and fairway. The Speed pocket does what is says it does--ADDS DISTANCE!! I hit thei 21.5* almost as far as my 16* hybrid. The club is also forgiving across the face as the speed pocket reaches from toe to heel. Off the turf is the feel is amazing..! Powerfull, yet controlled, soft yet killed, fast yet on the face forever! It glides through the turf, so no issues there, but it is equally at home off the tee on shorter holes or long par 3's. It produces a dense 'thwack' in both feel and sound at impact, not too loud, not tinny, just SOLID. 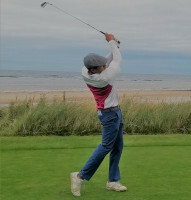 Balance of the club was right on, easy to keep on plane and heavy enough to feel 'iron like' during the swing..it almost begged to be hit down on! And when I did...WOW! We always hear about the latest and the greatest every year...we see the new clubs come out..we hit them, they look nice, they feel nice, and some improve on what we have and some don't. But when something comes out with completely new innovations in design that really make a difference, it is worth noting and trying more than once. The Speed Pocket is one such innovation..the feel, the sound, the results of all the R&D on this club is amazing. It will help alot of peoples game, and not just due to more distance, but making getting the distance they want to get easier. With a club that is probably shorter, has more loft and is easier to hit than the club it is replacing. I see alot of 5 hybrids replacing 4 hybrids, 3 hybrids replacing 5 or 7 woods. This tour hybrid is a versatile, solid performer, under all circumstances in which it was put to the test. 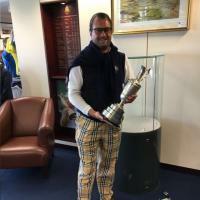 It didn't just perfrom, it out-performed all day on the course. Well worth a look if you are in the hybrid market. Speed Pocket in a hybrid? Thanks for this write-up. I am looking for a used hybrid. I have the 19 degree RBZ and I agree with your review. Mine is not a tour version though and there is some offset which makes every ball go left.